Gifts 2 The Door has an increasing range of mens gifts and hampers. We are proud to stock some of Charles & Lee mens skincare products as well as other branded item such as Jim Beam, Canadian Club, Jack Daniels and Jamesons gift packs. 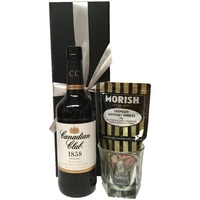 We offer delivery Australia wide, with free gift wrapping on selected items and a gift card.